If you’re in the mood to splash out on a new piece of personal technology, and the fantastic Apple Watch has been on your radar, then look no further than this limited time deal for excellent value. For a lot of us out there in the real world, there always has to be a lot of thought put into whether or not a premium piece of consumer technology actually offers enough benefits to justify the associated cost. 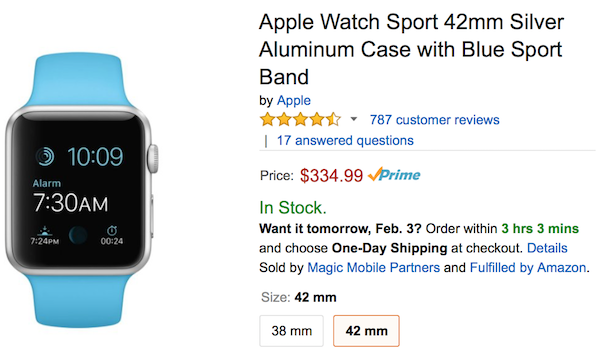 The Apple Watch definitely falls under the category of being a “luxury” item, but thankfully Amazon has applied some discounts to specific models to make it more enticing to those sitting on the financial fence. As the title suggests, the price of Apple Watch Sport both for 42mm and 32mm models has been reduced as part of this deal. The current offer price is sitting at $334.99 for the 42mm model, compared to $399 at which Apple is selling the same model in its stores. Those who aren’t comfortable with that kind of financial outlay can save a few pennies by opting for the smaller 38mm Apple Watch Sport model, reduced to $309 from $349. There is of course the obligatory offer of free shipping which makes the offer all the more appealing. 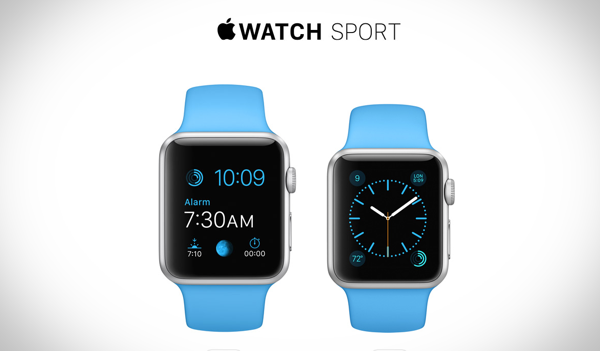 The prices stated are limited to the silver aluminum finish with a blue Sport Band. There’s also the option of picking different colored bands and case finishes to suit all personal tastes and requirements, however expect the prices to rise in that case, but they are still lower than the original price at which Apple is selling these in its retail and online stores. There’s no mention of when this deal will end, but as is usually the case with these flash deals, it’s better to take advantage of it sooner rather than later if you’re interested in the product offered for the reduced price. As they say, when it’s gone, it’s most definitely gone. Okay for almost all of January the 42 was $299 and 38 was $249 at Target. You have already missed out. And I’m not talking with a $100 gift card, this was the base price. This deal isn’t even that good.